I have been bleaching and dyeing my bangs for years, but when I started doing that I stopped dyeing my whole head. The last time I did it was for high school prom! So I have been getting bored with my natural hair color, even though the black always complements whatever color I dye my bangs. I didn’t want to go too light because I still plan on bleaching my bangs and wanted to keep the contrast, so I picked up a box of Palty’s Jewelry Ash (actually I got two, but then I got a haircut and didn’t end up needing the second). This, is basically my life! 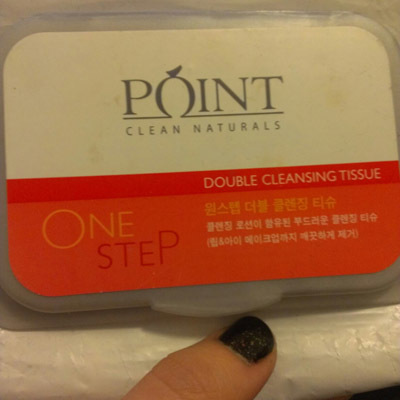 I found a wonderful korean brand of make up remover wipes called “PÓINT: CLEAN NATURALS.” I loved it because it was just such a wonderful deal! It has wonderful sturdy packaging, and I paid $11 for about 80 wipes! If my math is right (I fail at math so I’m 80% sure I’m right), that’s about 13 cents per wipe! AFSDKJKL:DS So amazing!! And it did it’s job well!